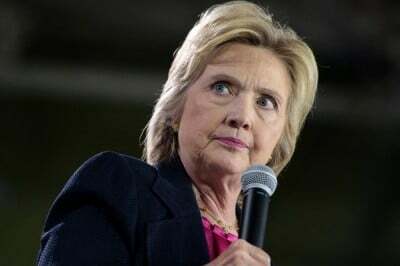 The Hillary Clinton campaign and the Democratic Party continue to attack FBI Director James Comey for his letter to Congress October 28 announcing new “investigative steps” against the Democratic presidential candidate over her use of a private email server while Secretary of State. The release of Comey’s letter has touched off a political and media firestorm, with Republican candidate Donald Trump claiming that Clinton is on the brink of indictment and arrest, while supporters of Clinton, both in the political establishment and the media, have criticized Comey for the timing of his announcement, only 11 days before the election. While Clinton and her supporters have demanded that Comey clarify his vague, 166-word letter, the official FBI response has been to declare that there are so many emails found on a laptop belonging to former Representative Anthony Weiner, estranged husband of longtime Clinton aide Huma Abedin, that it will be impossible to draw any conclusions about their significance or relevance to the Clinton email investigation until after the November 8 election. This underscores the extraordinary character of Comey’s letter, which dropped a political bombshell on the eve of the vote, highly detrimental to Clinton, without any underlying factual underpinning. The most significant response to the Comey letter has come from dozens of former Justice Department and FBI officials, from both Democratic and Republican administrations, who have denounced the FBI director for violating a longstanding rule that neither agency should make any politically sensitive announcement within 60 days of an election. A bipartisan group of nearly 100 such officials signed a letter questioning Comey’s decision. Former attorney general Eric Holder was the most prominent Democratic signer, while former deputy attorney general Larry Thompson, from the George W. Bush administration, was the most prominent Republican. An op-ed column from Holder was published in Monday’s edition of the Post, declaring the Comey letter “a serious mistake.” Holder was responsible for the selection of the former Bush administration official, a registered Republican, to succeed Robert Mueller as FBI director in 2013, when Obama appointed him to a ten-year term. Expressing the concern of former officials in both parties, Holder pointed out that the purpose of the policy of not making public announcements within 60 days of an election was to protect the FBI itself from being viewed as an instrument of partisan politics. Comey’s intervention in the election campaign on the eve of the vote has “negatively affected public trust in both the Justice Department and the FBI,” he warned. The second line of argument pushed by the Clinton campaign and congressional Democrats is the claim that Comey was guilty of a “double standard” because he made public the renewed inquiry into the Clinton email server, but was silent on similar inquiries directed at the Trump campaign over possible connections to Russia. Russia-baiting with a distinct McCarthyite odor has been the main response of the Democrats to the gusher of revelations coming from WIkiLeaks, which has obtained more than 50,000 emails hacked from the account of Clinton campaign chairman John Podesta. Last week a new trove of emails documented the gross corruption of former president Bill Clinton in leveraging the Clinton Foundation charity to obtain lucrative speaking engagements before corporate and bank audiences. Sunday’s New York Times carried an op-ed column from Richard W. Painter, former chief ethics lawyer in the George W. Bush White House from 2005 to 2007, raising the claim that there was an ongoing inquiry into Trump’s connections with Russia. Representative Adam Schiff, senior Democrat on the House Intelligence Committee, was interviewed on NBC Nightly News Monday, giving full vent to the claims of Russian intervention in the US elections, which have been asserted by intelligence officials and the media for the past several months without offering the slightest evidence. Press reports continue to provide new details of the raging crisis within the FBI itself over the Clinton investigation, with several field offices seeking a full-scale probe of the Clinton Foundation, and well as objecting to Comey’s announcement in July that there was no evidence of any crime being committed in Hillary Clinton’s use of a private email server while she was Secretary of State from 2009 to 2013. The agents involved in the email server investigation knew as early as October 3 that the separate investigation into Weiner’s alleged sexually explicit text messages had uncovered an email trove linked to his wife, and thus indirectly to Clinton. FBI officials claim that Comey himself was not informed until October 27, the day before he sent the letter to Congress, meaning there was a period of more than three weeks during which the FBI was embroiled in internal discussions over what to do with the new material. It remains highly uncertain what impact the FBI letter and subsequent media barrage will have on the outcome of the election. Twenty million people have already cast ballots in early voting in 38 states, including 3.6 million in Florida alone, about 40 percent of the state’s total vote from the last presidential election. Some key battleground states, such as Nevada and North Carolina, have also seen heavy turnout in early voting, while others, including Pennsylvania and New Hampshire, have no early voting, with nearly all ballots cast on Election Day.